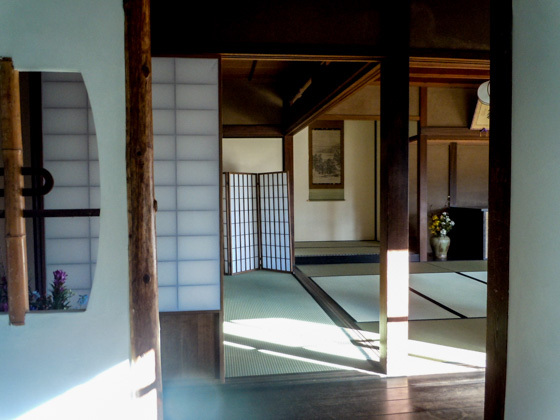 The city of Handa is located in central Chita Peninsular, approximately 50 minutes by train from Nagoya. 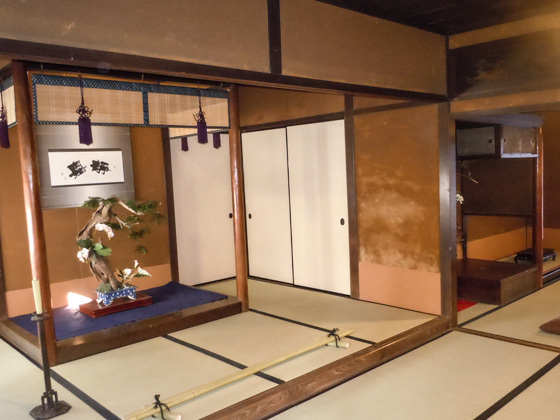 Ever since the Edo period, it has prospered with Sake brewing, textile manufacture, maritime trade, and other manufacturing industries. 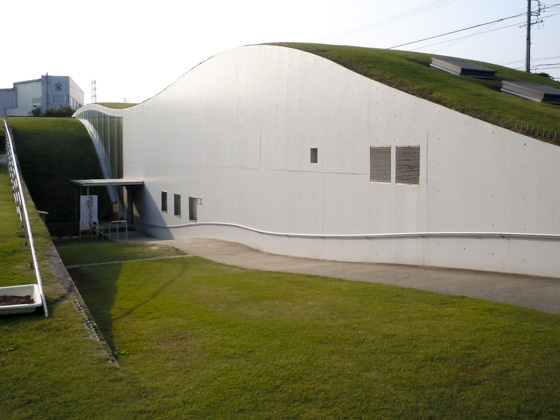 There are many sites to visit including the breweries that stand along the Handa Canal and museums, which convey the city's development and history. 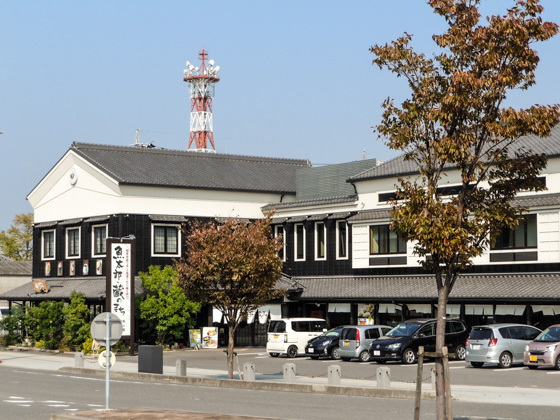 Traditional festivals including the valiant and gorgeous Handa Dashi Matsuri Festival which is held only once every five years, and the Dashi Matsuri Festivals that are held in each district between late March and the beginning of May are also part of the charms of this town. 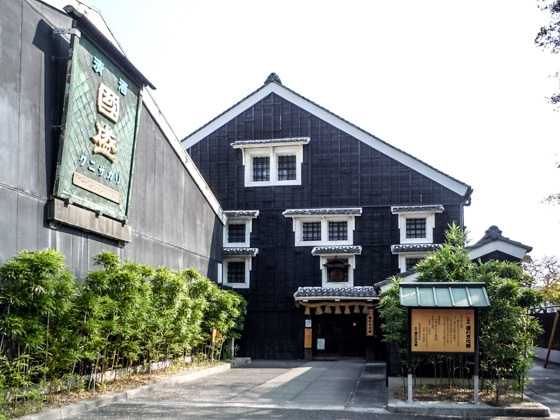 MIZKAN MUSEUM, a participatory museum to find out the beauty of vinegar making history and gastronomic culture. 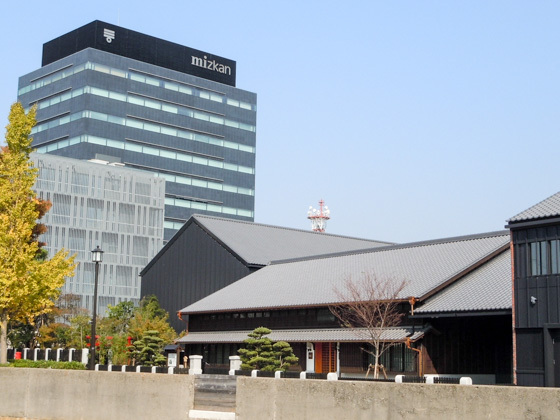 One of Japan's leading food manufacturer, Mizkan has its head office in Handa. 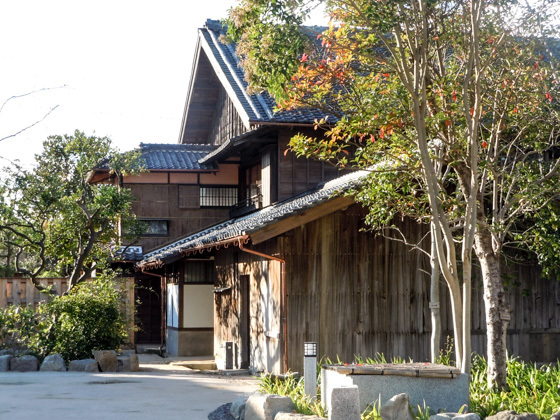 The company is a major manufacturer of vinegar and many other products that are indispensable for Japanese cuisine. 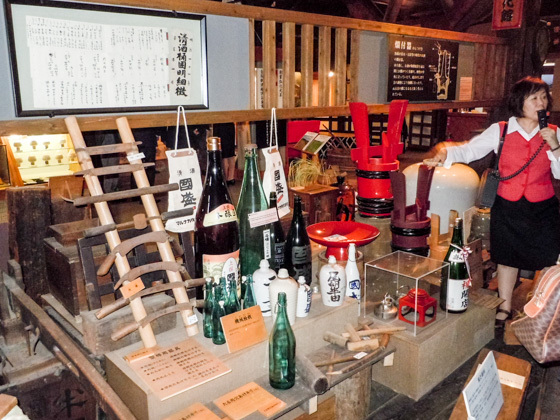 Mizkan was the first to invent vinegar using Saké lees in the Edo period, since rice vinegar was valuable in those days. 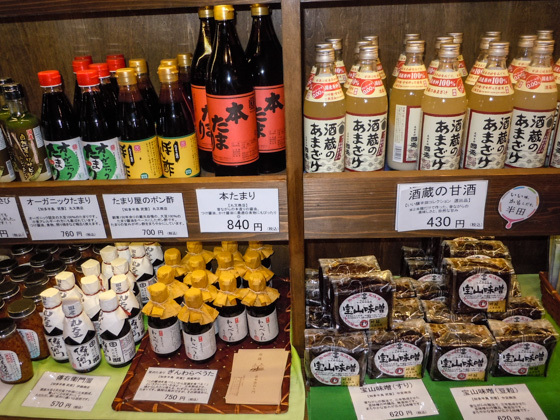 Vinegar with Saké lees became popular as it was inexpensive yet tasty. 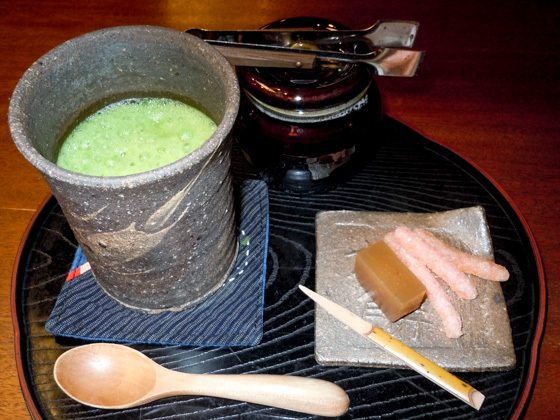 This created the opportunity for Sushi to become popular among ordinary people. 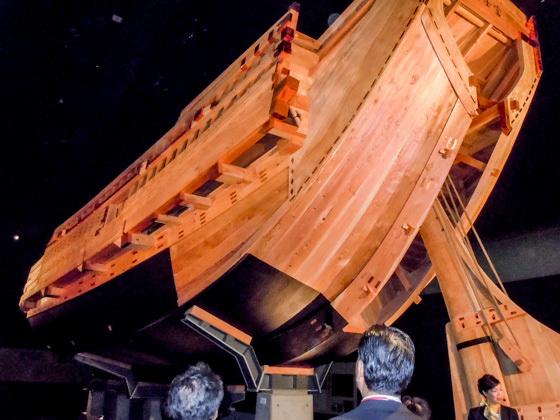 The 20 meter-long Benzaisen trading vessel is replicated. 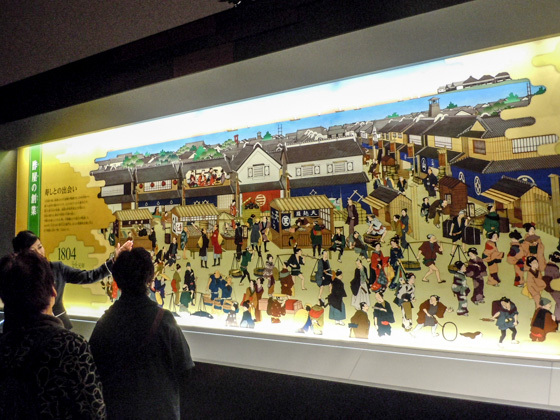 On the deck, you will see a large screen which shows a compelling video on how vinegar was transported by sea from Handa to Edo (currently Tokyo). 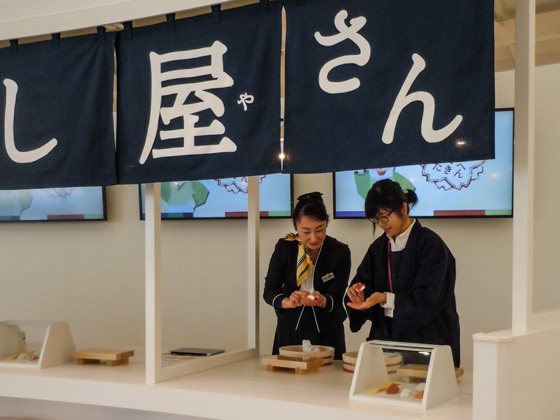 In this area, you can experience how to make a Nigiri-zushi using paper clay. Not just children, but adults also enjoy trying it. After the program, staff will take a picture of you and make it into a postcard for you to take home. 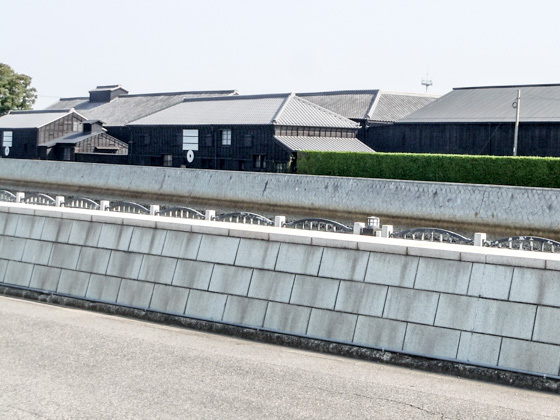 Enjoy the beautiful view of Handa Canal where different Saké breweries stand. 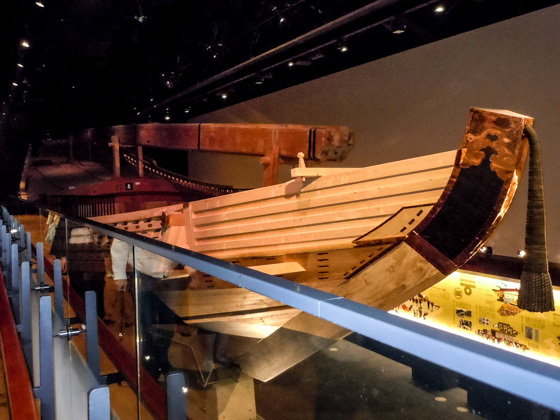 The canal was constructed around three centuries ago in order to transport vinegar, Handa's specialty, to Edo (the current Tokyo). 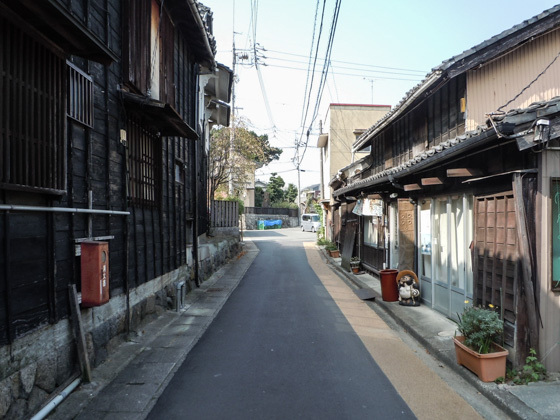 Walking along the area while observing the view, or cycling through the town on a rental bicycle would be nice. 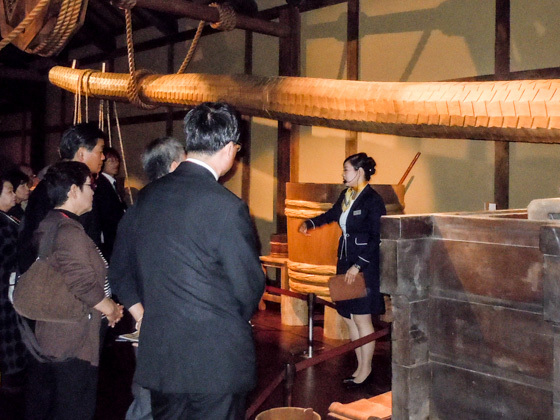 Inside the museum surrounded by chic black walls, a wooden pulley to carry heavy Saké barrels and other valuable tools which are no longer used due to mechanization and power-saving are exhibited. 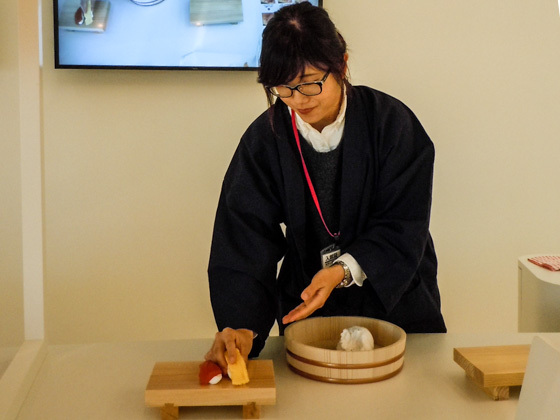 Tasting is available in the museum. 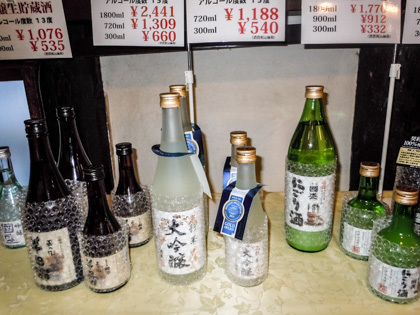 Compare various types of Saké to find your favorite taste. You can buy them as a souvenir too. Konya Kaido used to be a strategic point in the old days. 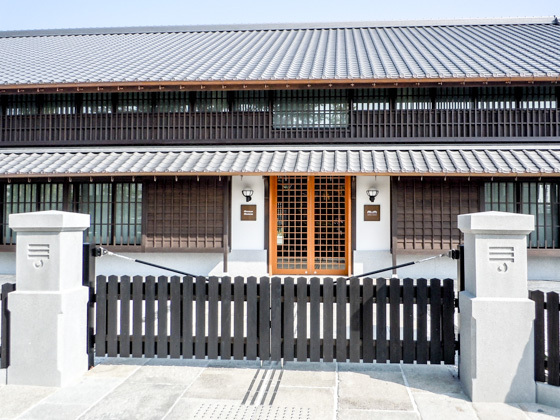 You will encounter traditional buildings as you head towards the red brick architecture. 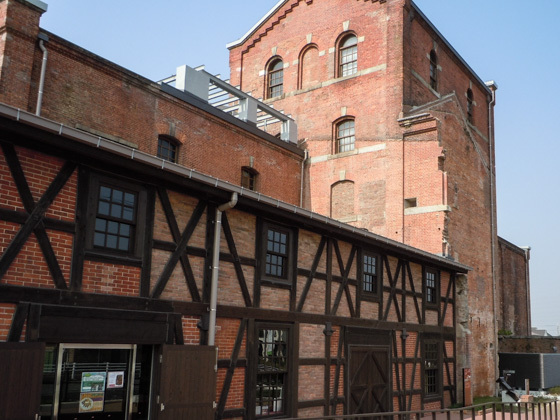 The Kabuto beer factory, Handa's local beer, was built in the end of the 19th century (during Meiji period). 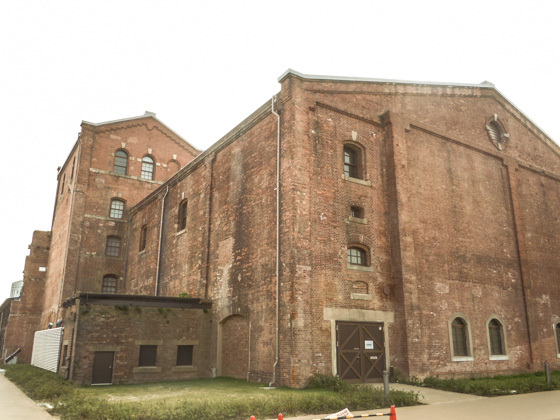 In terms of scale, it is one of the top five brick buildings in Japan constructed during the time. 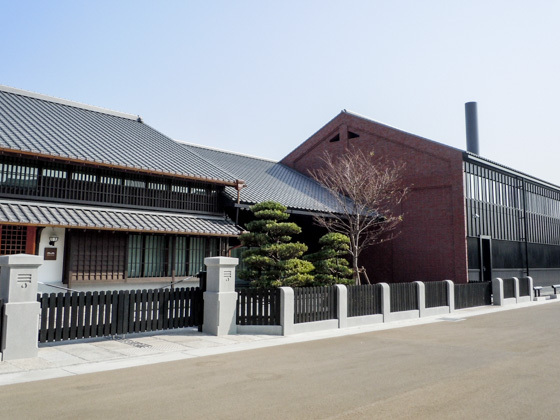 It was designed by Tsumaki Yorinaka, a leading figure of the Meiji architecture, who also designed the Yokohama Red Brick Warehouse and the Nihonbashi (the decoration part). 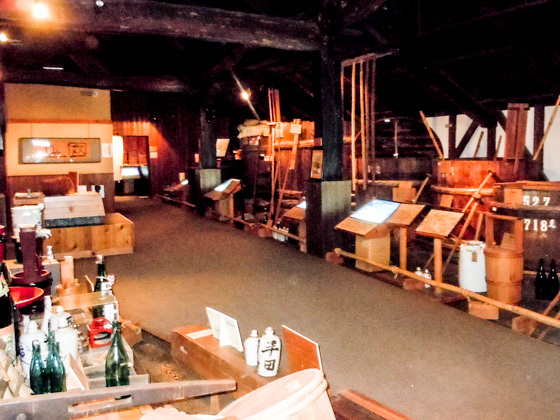 The regular exhibit room (admission fee: 200 yen) shows model and videos introducing the history of the Handa Red Brick Building and the invention process of Kabuto beer. 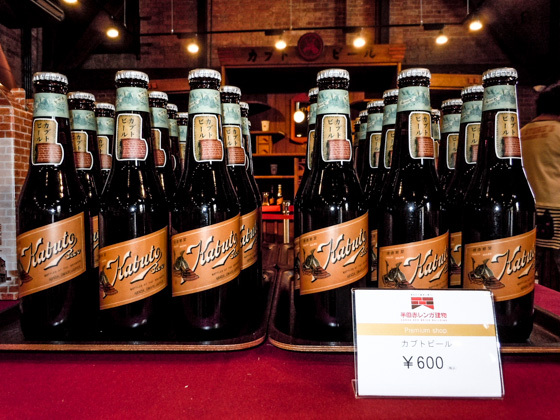 Kabuto beer (600 yen) is a recommended souvenir. It has high alcohol content of 7%, and offers a mild texture like wine. 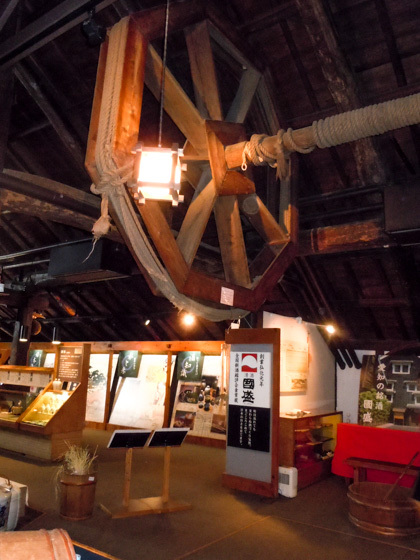 The "Niimi Nankichi Memorial Museum" is one of the sites you must not miss in Handa. 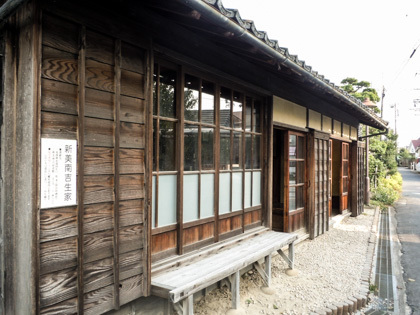 Niimi Nankichi is a famous author of children's literature, who was born in this city. 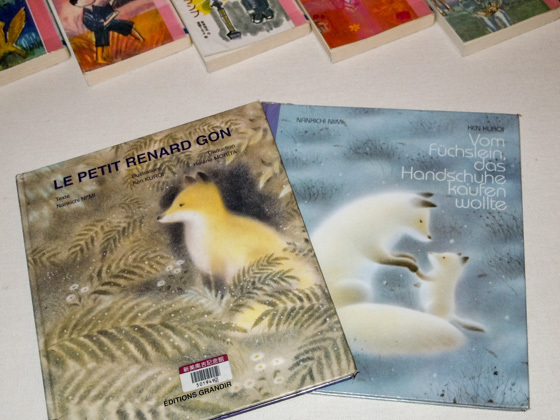 His major novels, the "Gongitsune" (Gon, the little fox) and "Tebukuro-wo Kaini" (Buying mittens) are translated in to various languages. 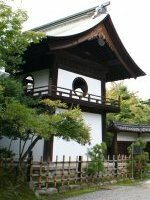 Even today, these novels are adopted in many of the Japanese school textbooks, therefore almost all Japanese people have read the stories in childhood time. 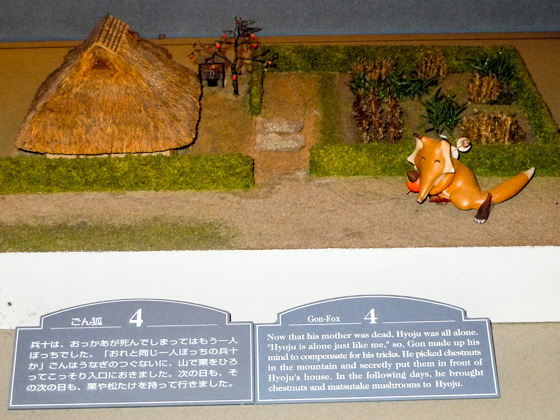 At the memorial museum, the world of Nankichi's literature is introduced in a diorama style exhibit (explanation available in English.). 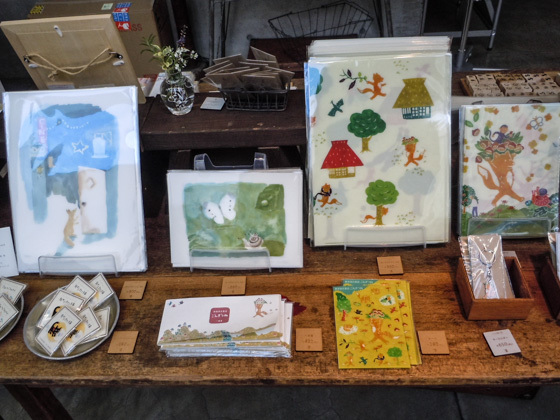 Cute small goods related to the novels of Niimi Nankichi, and his books published in different languages are available at the gift shop. 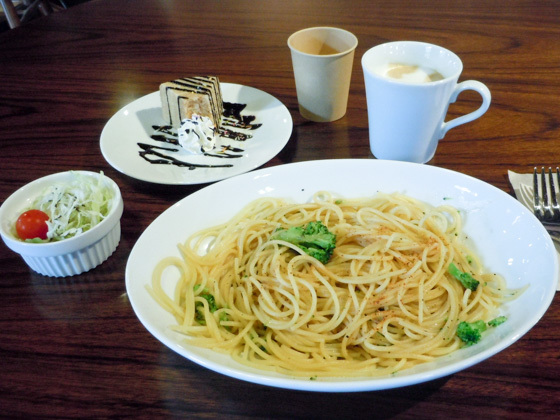 There is also a café corner inside the shop. A local resident who loves the town of Handa owns the shop. A cozy place to relax. 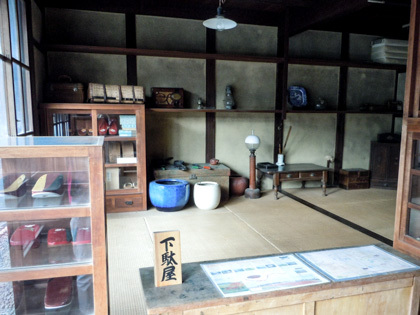 The house of Niimi Nankichi is reconstructed the same way as it used to be, with the father's Tatami shop and the stepmother's Geta store. 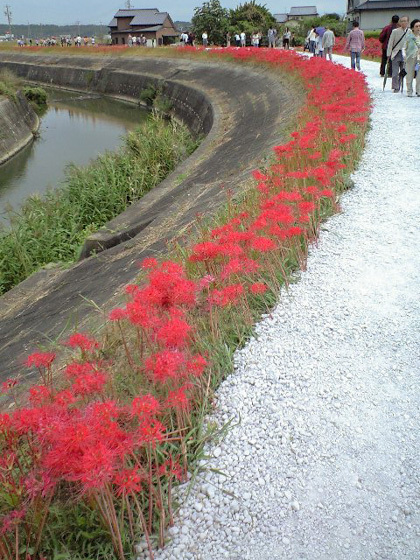 In late September, Higanbana flowers (red spider lilies) bloom all over along the 1.5 kilometer-long river bank which spreads from east to west. 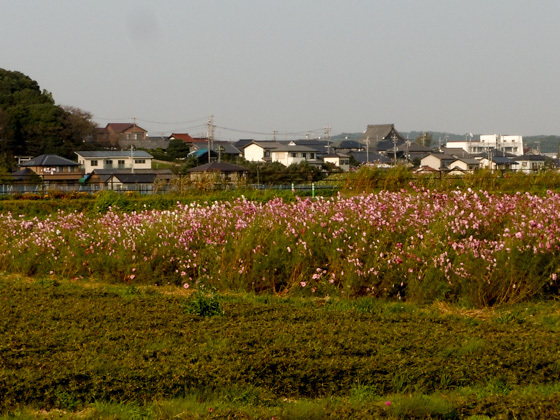 The flowers also appear in the novels of Niimi Nankichi. 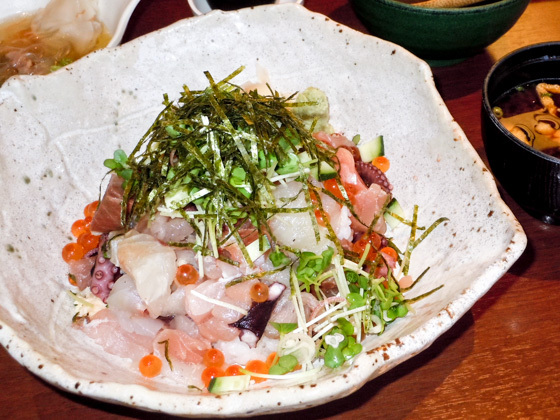 "Uotaro, kurano-machi" offers plenty of fresh seafood dishes. 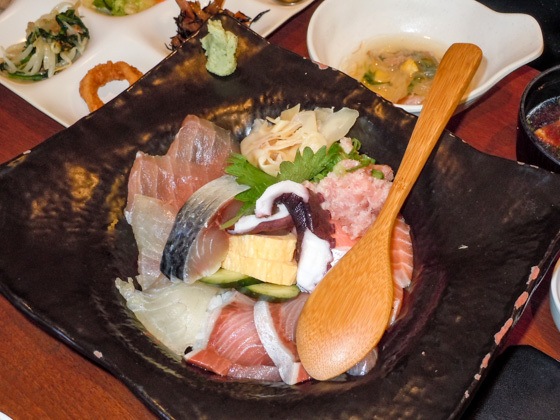 It is a buffet style restaurant (1,580 yen) and serves over 10 dishes including Kaisen-don (rice bowl with seafood toppings), Sashimi, and more. Both your stomach and heart will surely be satisfied. 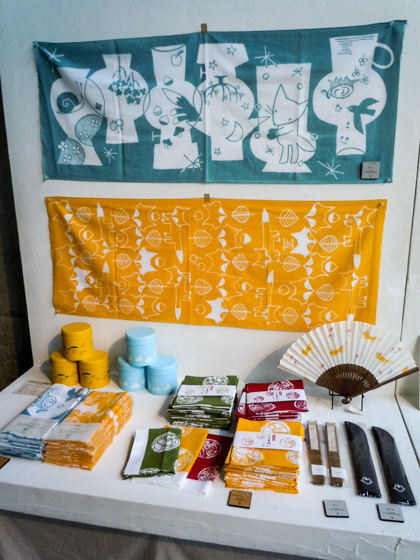 A souvenir shop offering a variety of special products of Chita can be found in the neighborhood. 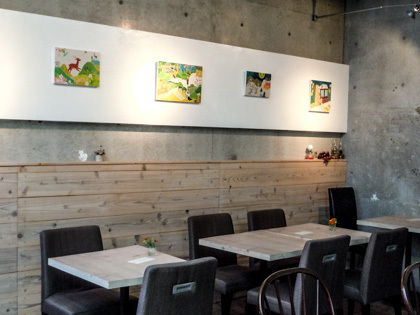 Try the Nama Kabuto beer, local craft beer, and sausages at Café Brick which is in a red brick warehouse. 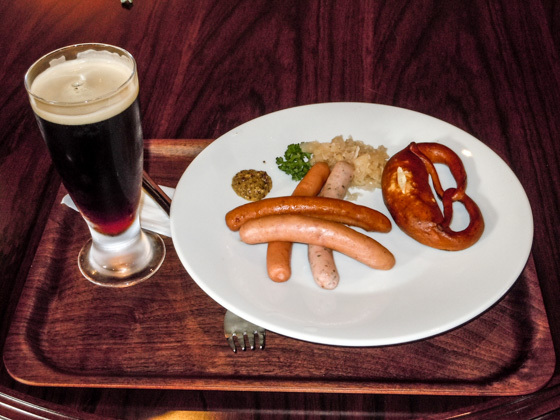 German plate set with the Kabuto beer (1,400 yen) and pasta lunch (1,000 yen) are also available. 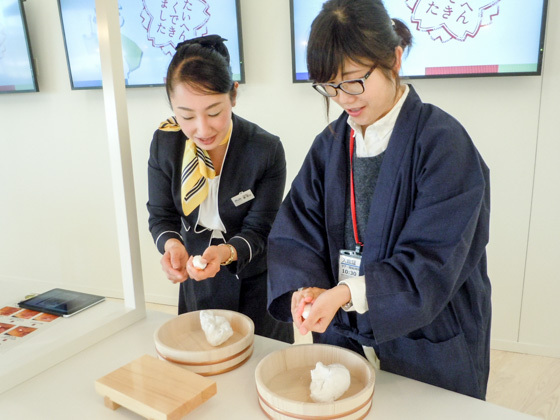 Sweets such as Anmitsu, and Kakigori (shaved ice) during summer are popular menus at Ohkuramochi, a Japanese style café. 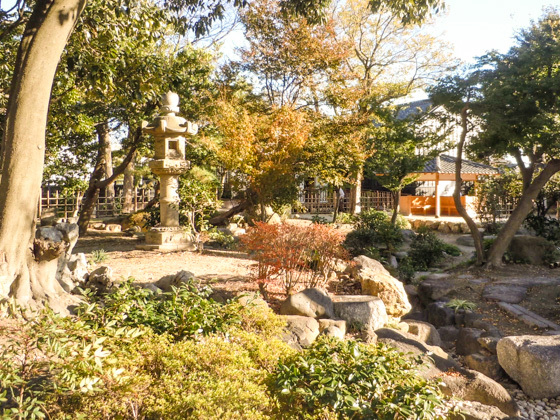 A pleasant place to rest and have a cup of coffee or Japanese green tea when getting tired of walking. Renting a bicycle is definitely recommended if you plan to see around the town in an efficient way. 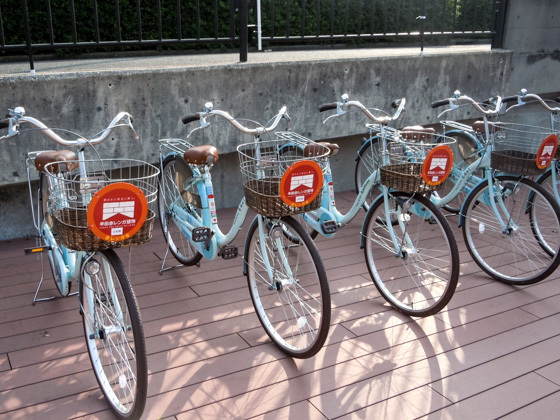 (There are four rental stations in the city. 500 yen for a day.) 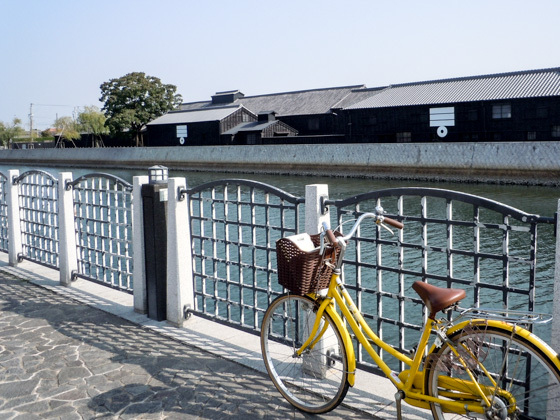 Cycling around the area will let you feel the peaceful and traditional town atmosphere. 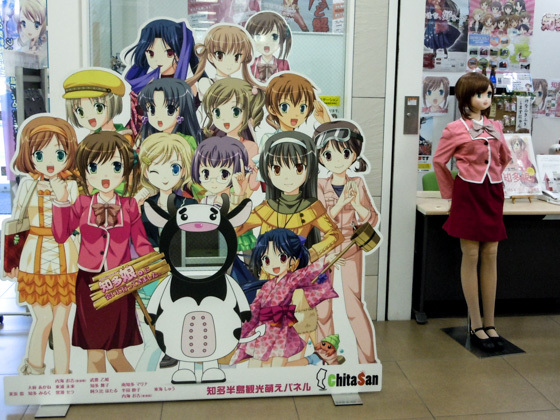 Female cartoon characters introduce each districts of the Chita Peninsular.